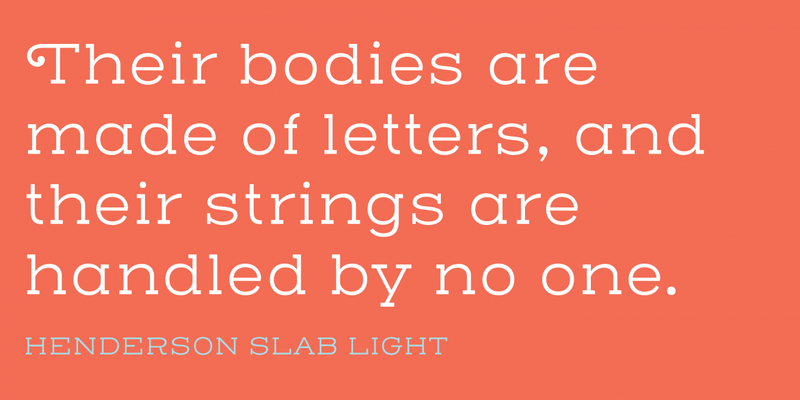 Henderson Slab and Sans from Sudtipos - Character in Every Glyph! 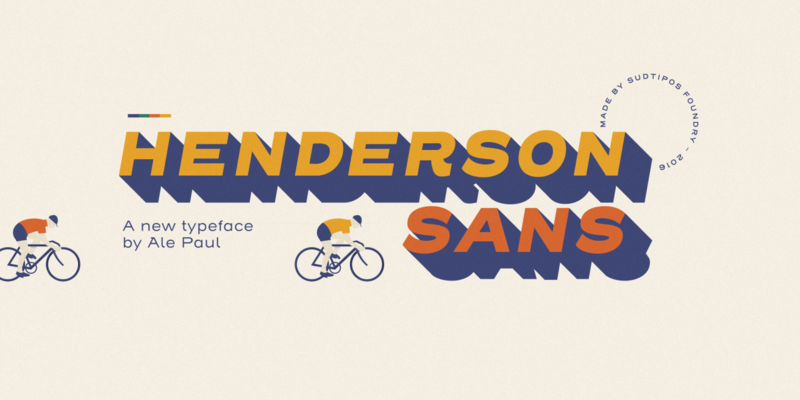 Henderson Slab or Sans for only $249! Welcome to another Underlined, our “send whenever we feel like it” newsletter that highlights great fonts you should know about. Boy oh boy, are you in for a treat today. 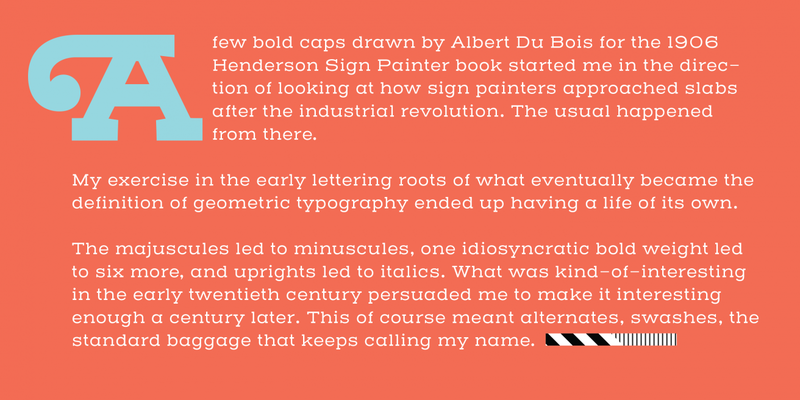 That’s because today we’re highlighting Henderson Slab and Henderson Sans. 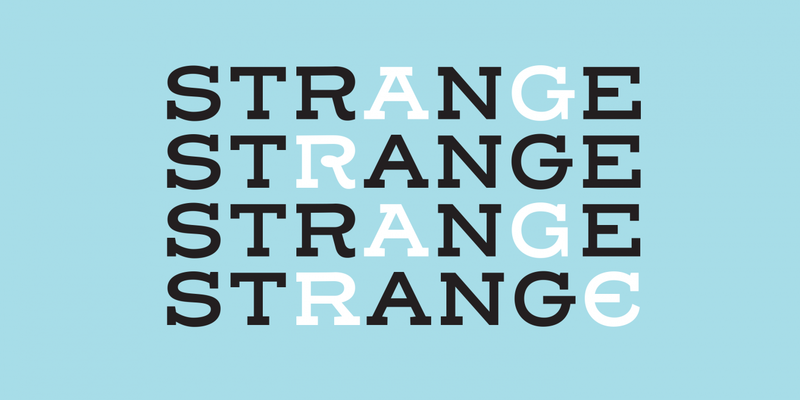 These typefaces are a departure from Sudtipos’ archetypal script fonts, and that’s a good thing. Ale Paul has mastered just about every flair and swash you can think of and now he’s applying that experitse into sans and serif typefaces that are unique. Let’s start with Henderson Slab, since that was the family Ale created first. It was born from a study of early slabs designed after the Industrial Revolution. He wanted to turn them into something that would seamlessly fit the modern world of the 21st century. Not being content with just making something contemporary, Ale also made alternates that pay homage to just about every style in between. The result of this is a family with all the glyph alternates of a script font. First, you have swashes that add panache to headlines, posters, and other display designs. You also have alternates for the slabs themselves, so you can have full slabs that go across the “A” for example, or much smaller and more modern slabs that would look great in running text. Ale then looked at his slab family and thought “What would this look like as a sans?” and the result is a well-proportioned family, Henderson Sans. 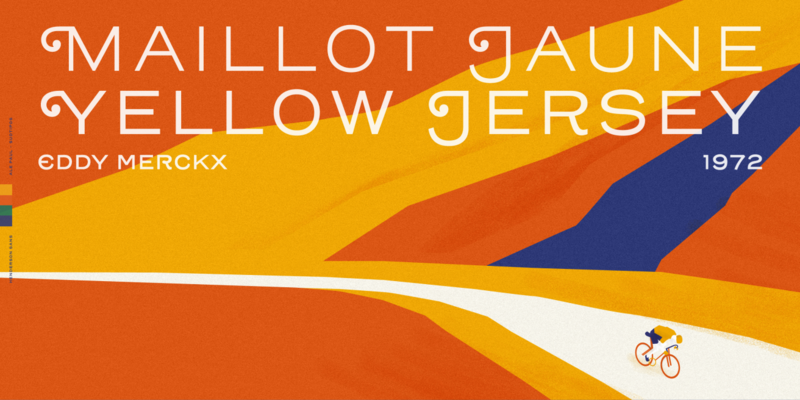 By itself, it’s a smart looking typeface with clean lines and a wealth of extras. The swashes and little touches allow it to be used in display or text cases, especially when you’re looking for something friendly and approachable. Where Henderson Sans excels, though, is that it’s a glyph-for-glyph match to Henderson Slab, which makes pairing them together (or even alternating them for display) easy and fun. Choosing fonts that pair well together is extremely important, and fonts designed to do that right out of the gate save you time. Put these two families together and you have an easy display/text combo, not just from the slab/sans pair, but from all their extras and swashes. 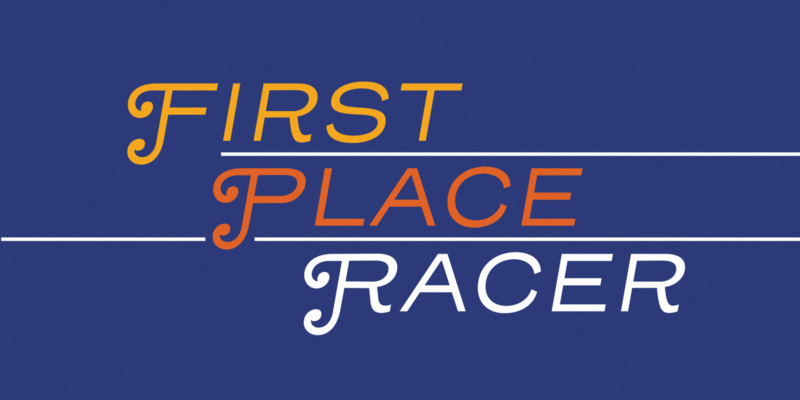 Pick the right alternates and Henderson Sans could even be your title while Henderson Slab fills in the text. The options are virtually limitless. To celebrate their release on Fontspring (and to make them all the more irresistible), Henderson Sans and Slab are both 50% off for the next ten days. If you couldn’t decide which was better before, now you don’t have to!